A tube-type 1960s-vintage R-392 Signal Corps. receiver was used as a temporary IF strip as soon as the front-end/VFO/mixer was able to be fired up. The very stable R-392's dial was tuned to 9 MHz, and its BFO switched on. 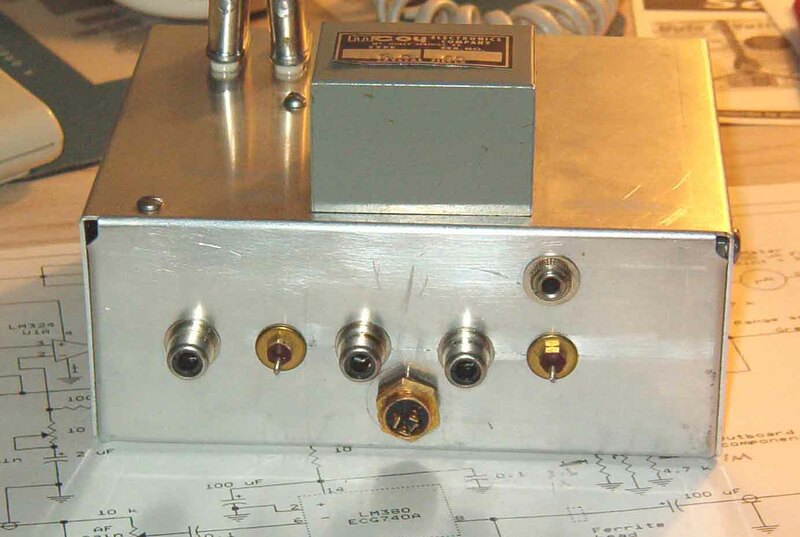 With the balanced station doublet connected, and a balanced tuner adjusted to 3.8-MHz, an unbalanced 50-ohm line was fed into the front-end jack of the module. The IF output was routed into the R-392 using a clip lead! 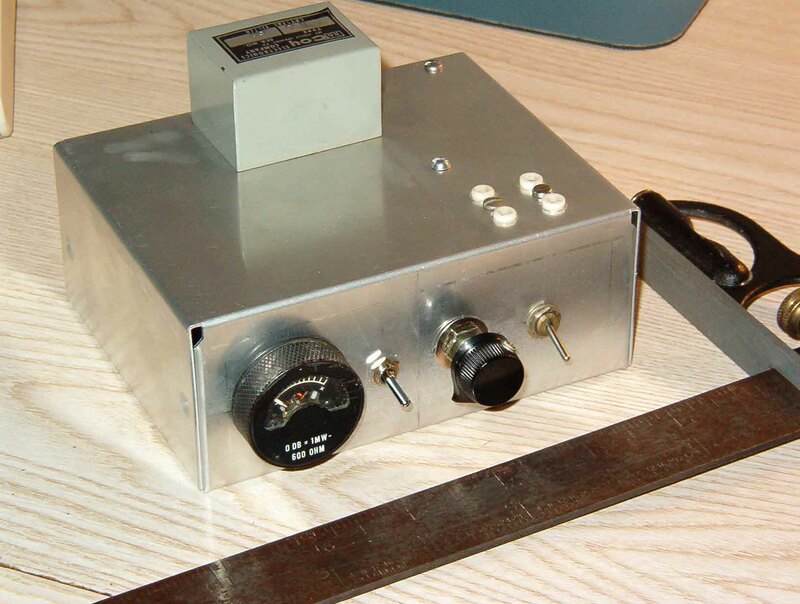 Many SSB and CW stations were immediately tuned-in on 75-M and 80-M. The front-end was then set aside and work commenced on the system's second (BFO/IF/AF) module. Its chassis is identical to that of the VFO/front-end module. After installation of the two BFO crystal sockets and BFO/buffer board, the McCoy crystal filter was carefully mounted. Input and output connectors, feed-through capacitors, and a power/signal connector were also added. 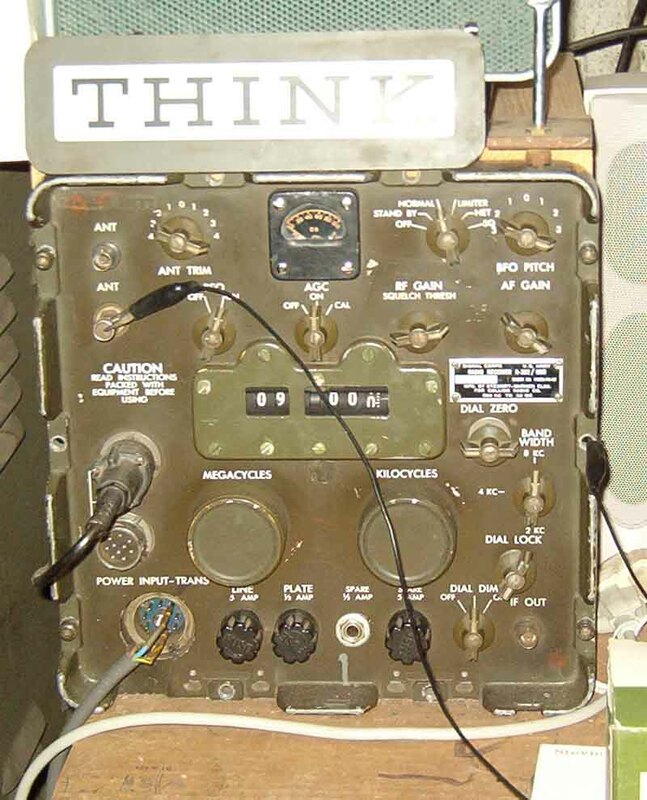 The unit's front-panel layout was also established, and an S-meter installed. A toggle switch is mounted for use as an AGC time-constant selector. The pair of ceramic crystal sockets are visible in this view.